 Skin Tests May Give Clues to Safe Iodinated Contrast Media - ONRAD, Inc.
AuntMinnie | For patients with delayed allergic reactions to iodinated contrast media (ICM), skin tests may help in selecting an alternative agent, French researchers suggest. As many as 3% of more than 70 million patients who are exposed to ICM annually have delayed hypersensitivity reactions, including about 0.4% of patients exposed to iodixanol, according to their July 23 online letter to the editor of the Journal of Allergy and Clinical Immunology. Previous studies have suggested that skin tests can’t diagnose delayed hypersensitivity to ICM. In their letter, Dr. Frederic Hasdenteufel from University Hospital of Nancy and colleagues review skin test results in 22 patients who had delayed hypersensitivity reactions within 10 hours to six days after intravascular iodixanol injection. Twenty patients who had no adverse reactions to ICM served as controls. “This study is the largest to date to have investigated the usefulness of skin testing to select a safe ICM for challenging patients with nonimmediate hypersensitivity reactions to iodixanol,” the researchers say. Two of the 22 patients had delayed hypersensitivity reactions despite immunosuppressive treatment for graft rejection. Immediate skin test results were negative in all patients, and all controls had negative skin prick, intradermal, and patch test results. Eleven of the 22 patients (50%) had positive delayed skin test results with iodixanol (including the two patients on immunosuppressives). Seven patients had cross-reactivity to ionic, nonionic, or both types of ICM. All 22 patients with positive skin test results were successfully challenged with another contrast agent that yielded negative skin test results. “Skin testing (intradermal tests and patch tests) was useful in implicating iodixanol as the cause of a delayed hypersensitivity reaction in our patients,” the investigators conclude. “Our study tends to suggest that there might be a putative link between the chemical structure and pattern of cross-reactivity among ICM,” they add.